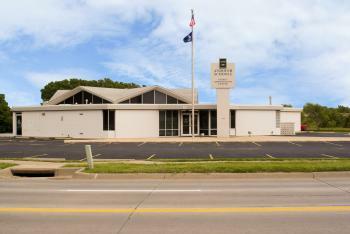 The Andover Unified School District #385 spans 47 square miles in Butler and Sedgwick counties, covering both the City of Andover and an eastern portion of Wichita. Approximately 5,800 students attend one virtual, six elementary, two middle and two high schools in Andover. 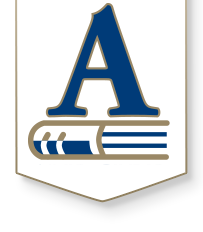 Andover schools take pride in their academic excellence and progress to exceed local, state and national goals. Our tradition of excellence is evident in our National Merit Finalists and Semi-Finalists, continually high ACT scores, state championships in athletics and activities and regional and national recognitions awarded to programs and staff. Andover is a progressive district focused on helping students succeed. Andover Public Schools holds high expectations for students and staff. Our success is evident in the many awards and recognitions staff receives. Andover educators have won recognitions such as Kansas Teacher of the Year, Kansas Teacher of the Year finalists and semi-finalists, Kansas Master Teacher, Kansas History Teacher of the Year and many more. The district enjoys a partnership with Butler Community College that allows high school students the opportunity to earn college credit hours. The district also participates in the Butler County Special Education Interlocal #638 and the South Central Kansas Education Service Center. Andover employs counselors and nurses in each building, has intervention and prevention teams available to work with at-risk students, employs paraprofessionals to assist librarians and teachers and has active parent volunteer organizations that enhance learning experiences. 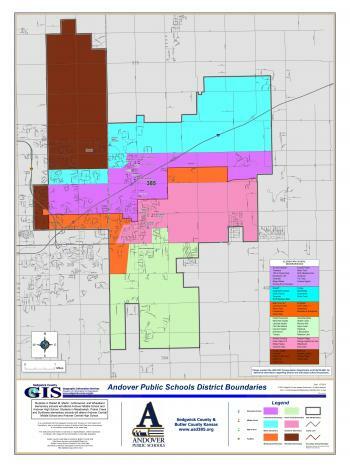 Andover USD 385 is a closed enrollment district, which means that you must live within the District boundaries to attend school in Andover Public Schools. Click here to view the District boundary map or visit this website to find out where you are located in the District. Please contact the Andover Public Schools Transportation Department at 316-218-4621 to verify the attendance area. Cottonwood, Robert M. Martin and Wheatland Elementary Schools move up to Andover Middle School and Andover High School. Meadowlark, Prairie Creek and Sunflower Elementary Schools move up to Andover Central Middle School and Andover Central High School. 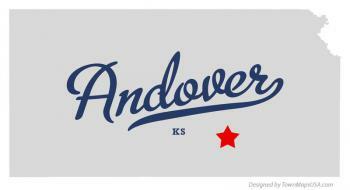 Students living anywhere in the state of Kansas may attend Andover eCademy. Andover boasts many shopping, dining, and entertainment options within the city's limits, as well as a great real estate market. To learn more about Andover city commerce and for resources related to moving to and living in Andover, click here to visit the City of Andover website. If you are wanting to learn more about enrollment at Andover Public Schools, please visit the Enrollment Information page.